I used to live back and forth between KK and Membakut after marrying a so called my-Membakut-man. 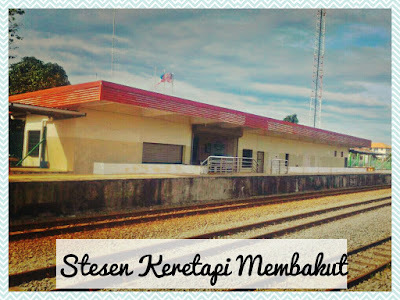 The travelling length between KK and Membakut is approx. 80KM, and with average driving speed of 80km/h, it takes about 1 hour to reach the town. Membakut is one of a sub-district in Sabah, located near Beaufort in the interior division. 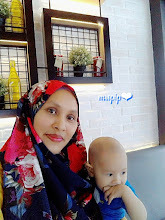 recently mr.Husband gave me an idea to write a little information about Membakut since not so many info could be gathered via online sources. 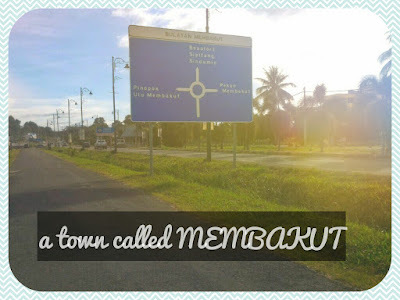 after giving some thought, here I am sharing my little 'presentation' to you readers, in case (who knows) some of you need some info about this tiny town called MEMBAKUT. 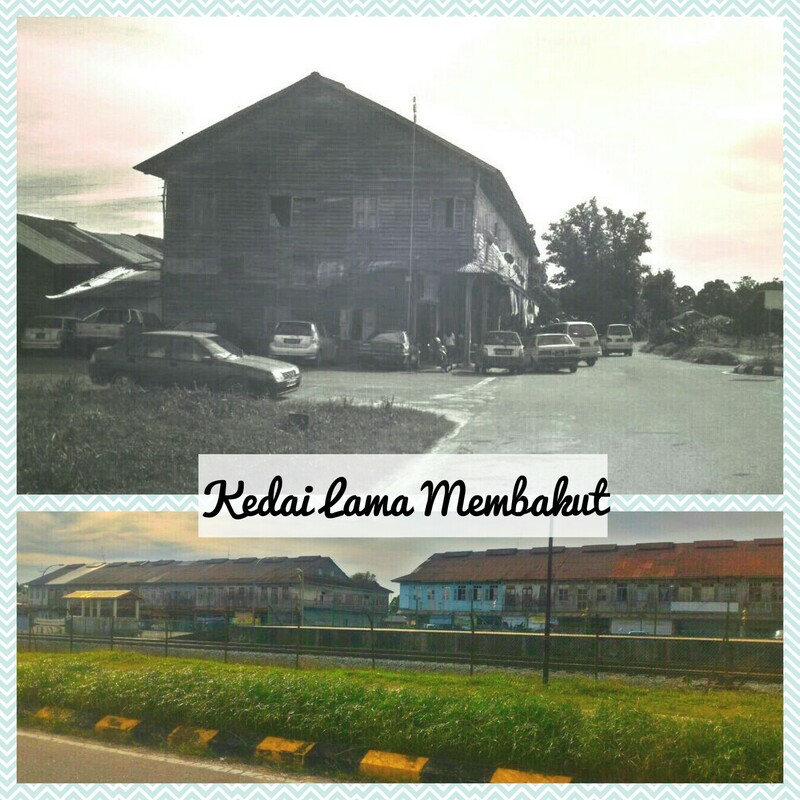 this is a very old shop lots of Membakut. it was once built during the colonial era, and for your info, this old shop lots still exists today. the weekly flea market is held every Wednesday in front of these shop lots. and if you are looking for petrol station, we have a small Petron here. 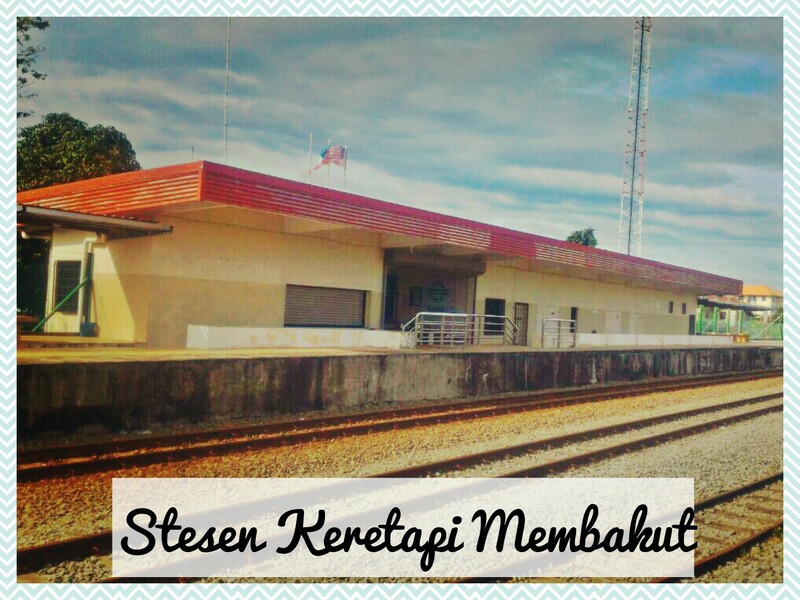 and if you wanna come to Membakut with a different way of transportation, why not board on train! and this train station located adjacent with the old shop lots. and later, a new shop lots been built. 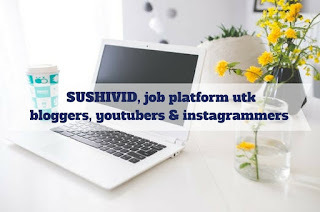 here you can find grocery shops, hand phone shops, printing shop, cakes shop, furniture shop, little cafes and restaurants, marts, barber shop, tailor shop, etc. and now they even have anjung wawasan, it is a place to eat with small food stalls. and here is where the market located to buy the vegetables, fish and dairy products. apart from the Wednesday flea market at THE OLD SHOP LOTS, you can come every Sunday for another flea market here in NEW SHOP LOTS area. 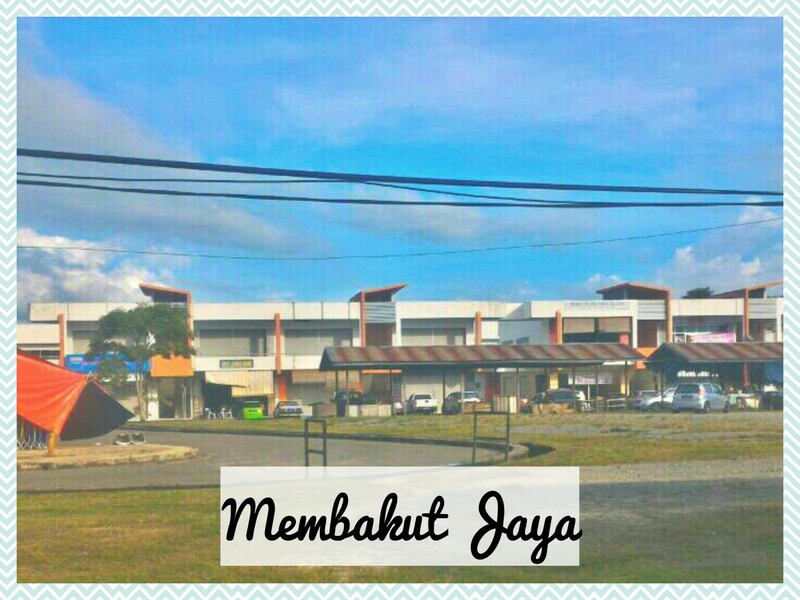 and the Membakut Motel is here in NEW shop lots facing the Anjung Wawasan, in case you need a place to stay overnight. 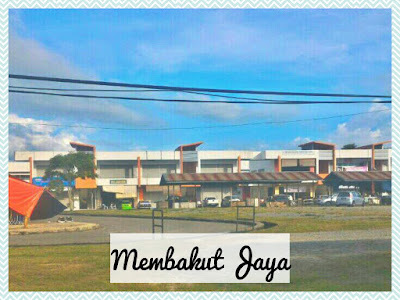 if the OLD and NEW shop lots located on your right hand side (from KK to Beafufort), this the very recent shop lots known as MEMBAKUT JAYA, or what locals here used to say as MJ, located on your left hand side. it is very easy to find since its location could be seen from the main road side. the bank is located here in MJ, BANK SIMPANAN NASIONAL. Kedai Rakyat 1 Malaysia and the one and only well known private health clinic >>> Klinik Doktor Purnama also located here. 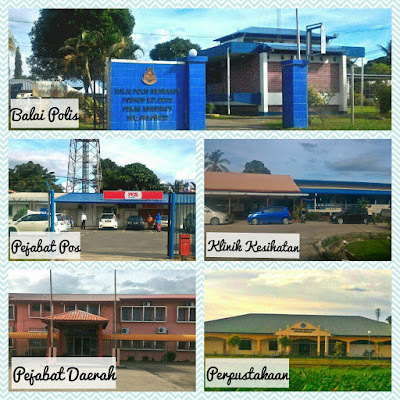 just like any other districts, you can find common things here in Membakut. 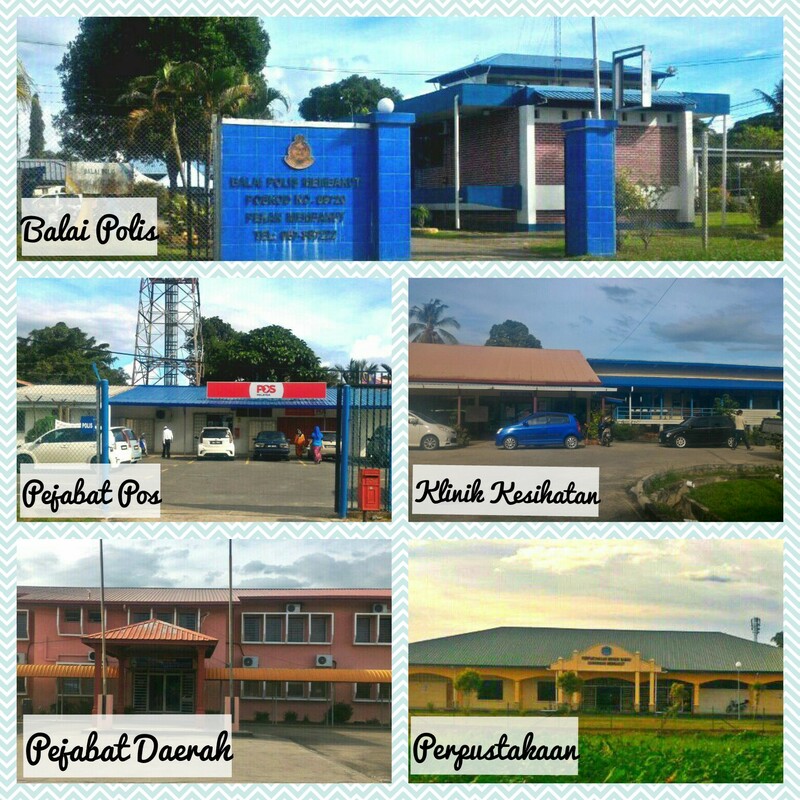 we have police station, post office, district office, health clinic, library, etc but in a quite small 'scale'. the library is very easy to find. you can see it from the main road on your right (from KK to Beaufort). I never been to the library yet, it's kinda new, less than 5 years old if not mistaken. will bring the kids here soon (still trying to find my suitable time to bring the kids here, huh). when traveling, beside the good shops and nice restaurants, buildings that you want to know is always the rumah ibadat. 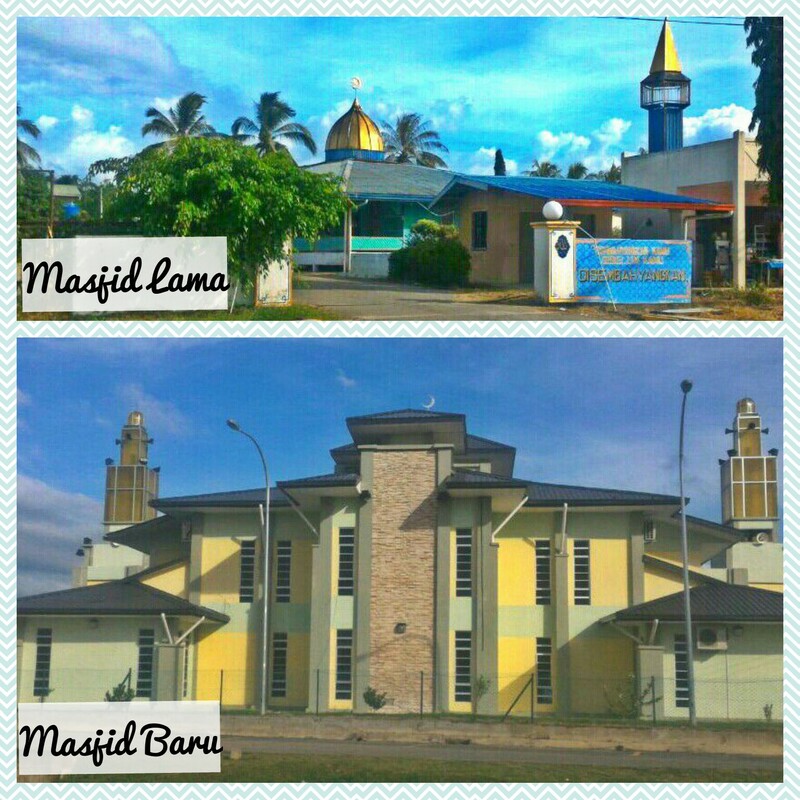 here in Membakut, we have mosque, the OLD and the NEW mosque. I am not so sure if the OLD mosque has been closed or not because the gate still remain open until today. I guess they still have majlis agama in there. 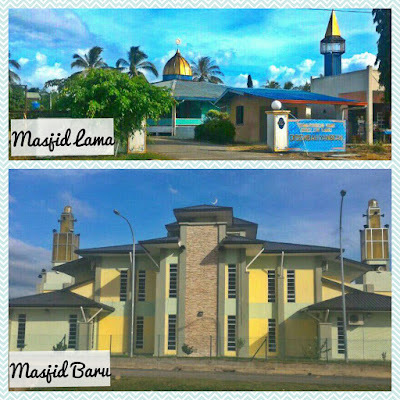 the NEW mosque opened if not mistaken two years ago, it is located very near with the main road on your right (from KK to Beaufort), just after the library building. 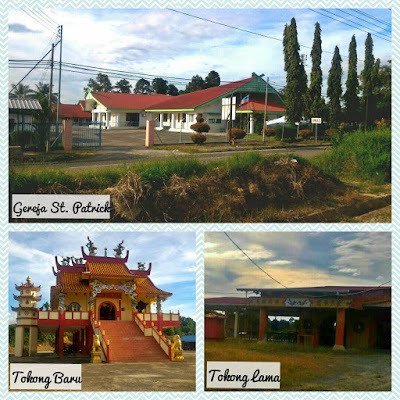 the roman catholic ST. Patrick church, and the OLD temple located along the same road. it is not too far from the well known mini-market Yung Siang, while the NEW temple located a bit further up from the town, near the SMK St. Patrick. 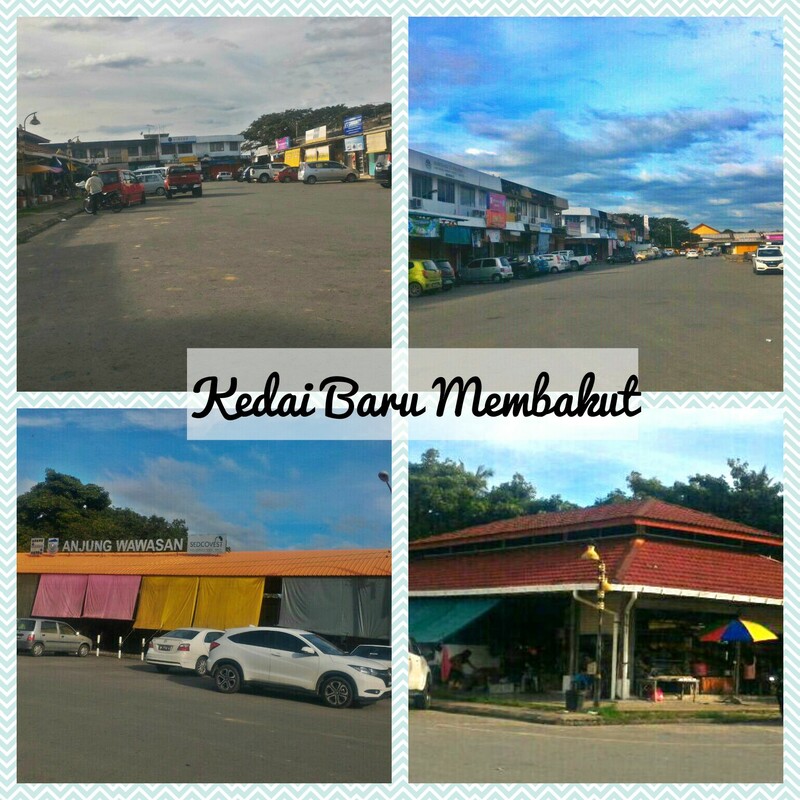 there are quite numbers of school here in Membakut, but the one that we took picture are the one located really in the middle of the town. 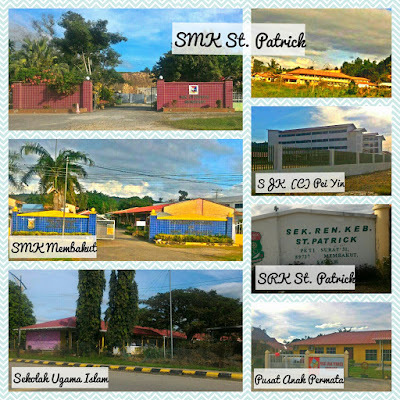 some of the schools are SMK Membakut which is located adjacent with Membakut Jaya, Sekolah Ugama Islam is just adjacent with the OLD mosque, SRK St. Patrick near the ST. Patrick church. the one and only Chinese elementary school, Pei Yin was once located in the OLD shop lots area but they moved last year to their new building further up the town a bit, after the SMK St. Patrick. 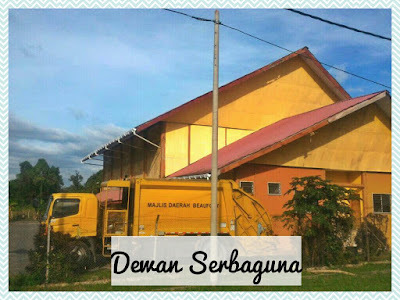 Pusat Anak Permata just opened end of last year. it is a nursery for kids aged between 2 - 4 years old. thinking to send our kids here for 'early social education' before they go to pre-school. 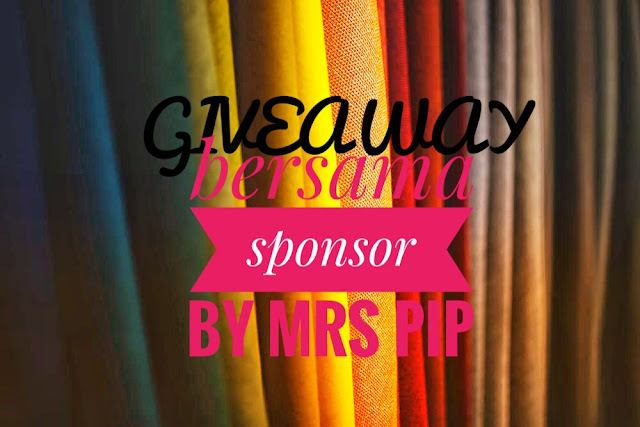 other schools around the town are SRK Pekan, SRK Bandau, and Pei Yu pre-school. there is a community hall in the centre of the town. mr.Husband once told me, this is where the people gathered to play badminton. however, I'm not so sure about how to rent this hall. I believe this hall is under district office. after taking some photos, I need to buy few house supplies. and of course I need drinks to chased away my thirst! some more, the weather was quite hot. 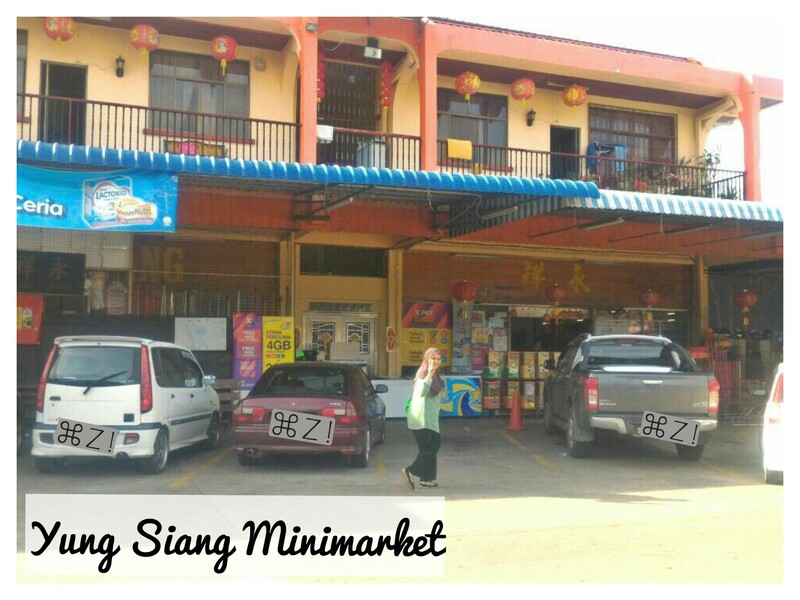 Yung Siang Mini-market is the best mart in town! it has a number of options to buy your needs, otherwise I have to go to Beaufort to buy the house supplies. 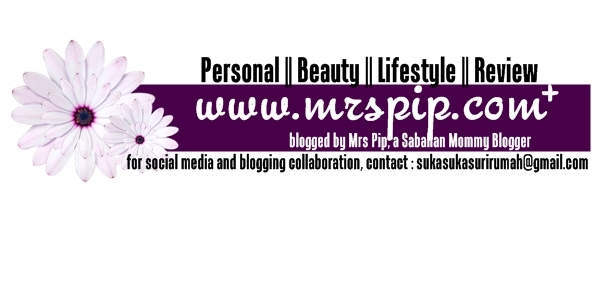 thanks for reading my little 'presentation', wish readers have a wonderful day.